This book, originally published in 1982, begins with an examination of space, and its role in the process of public provision and collective consumption. Variations in provision are linked to the Weberian notion of social status and political struggles over consumption and externality issues. Health care and education are considered in spatial contexts, and the whole basis of the electoral system is also discussed together with geographic underpinnings. In each case emphasis is placed on the jurisdictional organization of space by public bodies. 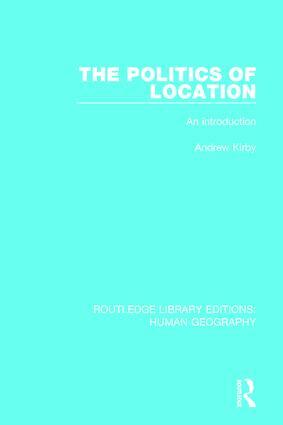 The author examines the various examples of spatial cleavages, in which political events are redirected by issues such as nuclear power, airport location, road construction and urban renewal.